For a boy king who caused viewers to loathe him and wish nothing but horrible fates to befall his person, there’s surprisingly little to say about Game of Thrones’ Joffrey Baratheon. A sadistic, spoiled, impetuous child given ultimate power over the lives of millions, his death could not come soon enough. And so it’s fitting that such a pithy summation of a truly villainous character can be brought to life in only 60 seconds. Sponsored by Vanity Fair, 1A4 Studios have been producing these short recaps in the ramp up to the fifth season’s premiere in April. The previously featured entry for Ned Stark was similarly fast-paced and focused solely on the highlights of another life cut short (pun not intended, but allowed). 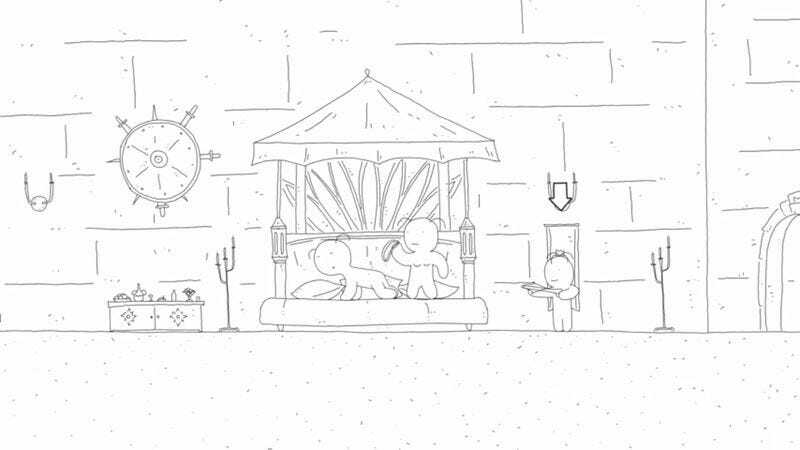 This animated short serves as a concise refresher course for the most hated manchild in Westeros. Plus it features every delicious slap delivered from Tyrion to idiot Joffrey (though not the Imp’s sweet threat to castrate his king), all before leading up to the Purple Wedding and the moment where karma suddenly seemed to be at play in George R.R. Martin’s world—if only for a brief moment.